Turtles might move slowly, but they push out enough waste to make a mess of their aquariums in short order. Aquatic turtles are the biggest offenders, since all that waste can foul up their water in a hurry. Removing your shelled friend and washing out his tank helps keep his house clean and him healthy. Tank cleanings call for a separate enclosure so your turtle can enjoy himself and remain safe while you're scrubbing away. A temporary holding tank or enclosure keeps your turtle secure when you're scrubbing down his permanent home. Glass aquariums work best, but you can also opt for a rubber tote. Because your shelled friend will only hang out in the temporary enclosure for a little while, size isn't that important. Just make sure he has enough room to take a swim or walk around. Make his temporary enclosure simple but stress-free by adding a decoration or hiding spot he enjoys. For example, if he's aquatic, fill the enclosure with tap water to a level that mimics his permanent enclosure. Provide him with a rock or other landing that sticks out of the water so he can come up for air or chill out. Land turtles, such as box turtles, don't require much of anything for the short time they're waiting for you to clean their home. A water dish and something to hide under or climb onto will suffice. Hoisting your turtle out of his aquarium calls for two hands and a gentle touch. Slowly lower your hands into his aquarium. Scoop him up by cupping him around the middle of his shell. Keep your fingers under him and your thumbs on the top of his shell. Hot water and soap works well for the initial scrub down of your turtle's aquarium and his decorations, food bowl and water bowl. Rinse the tank and all items well in your bath or laundry sink -- not your kitchen sink -- and then place all items back into the aquarium. Fill the aquarium with 9 parts water and 1 part bleach. The Worms and Germs blog, operated by the University of Guelph Center for Public Health and Zoonoses, suggests allowing the solution to sit for 10 minutes and then giving everything a thorough rinsing. Add back in all the essentials, from rocks to water, and then pop your turtle back in his home. Give his temporary enclosure a quick wash afterward. For aquatic turtles, water changes plus a filtration system should keep aquarium cleanings to about once a month. Canister filters typically provide the most power and have the least amount of trouble with clogs, but they're also usually the most expensive. If a canister filter isn't on your list, opt for a power filter. Whatever your choice, pay attention to the aquarium size rating for the filter. Aim for filters that are rated two to three times larger than your turtle's aquarium. For example, if your pal lives in a 30-gallon aquarium, you need a filter rated for a 60- to 90-gallon tank. With a filtration setup, change about 20 percent of your turtle's water every week. Feeding your turtle in his temporary enclosure can also keep water cleaner, but some turtles refuse to eat in those situations. 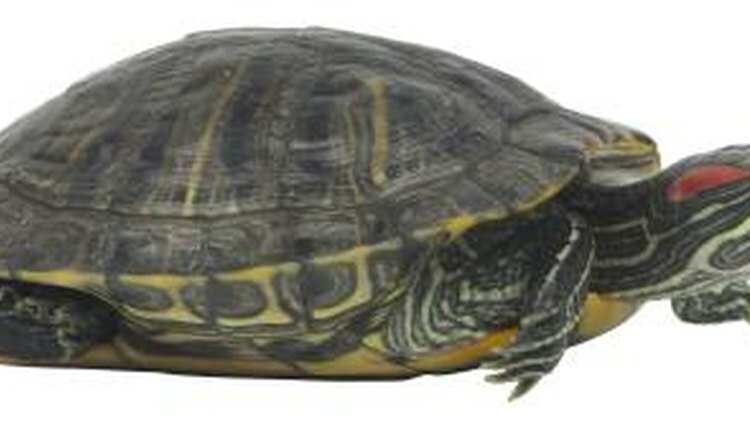 For land turtles, spot clean their substrate every day and scrub down their aquarium once a month.